Koger Cosmetic Clinic & Medspa offers eyelid surgery (blepharoplasty) for men and women in Palm Beach County, including West Palm Beach, Vero Beach, Wellington, and the surrounding areas of Florida. Droopy eyelids can make you look older and can also impair your vision. Some people want and need to correct these issues. Blepharoplasty corrects these problems and also removes puffiness and bags from under the eyes that can make you look worn out and tired all the time, even when you are well rested. This procedure cannot alter dark circles or fine lines around the eyes, nor can it change sagging eyebrows. 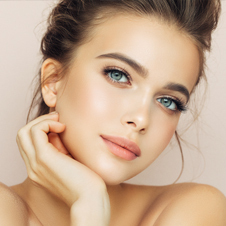 Though blepharoplasty is often performed as a single procedure, Dr. Koger can also recommend that eyelid surgery be combined with a brow lift, facelift, or skin resurfacing to achieve optimal results. In upper eyelid surgery, Dr. Koger first marks the individual lines and creases of the lids in order to keep the scars as invisible as possible along these natural folds. The incision is made, and excess fat is removed or repositioned. Dr. Koger then removes the loose muscle and skin. Fine sutures are used to close the incisions, thereby minimizing the visibility of any scar. In lower eyelid surgery, Dr. Koger makes the incision in a completely inconspicuous site along the lash line and smile creases of the lower lid. Excess fat, muscle, and skin are trimmed away before the incision is closed with fine sutures. Eyelid puffiness caused primarily by excess fat may also be corrected by Dr. Koger with a transconjunctival blepharoplasty. The incision, in this case, is made inside the lower eyelid and excess fatty material is removed. When sutures are used to close this kind of incision, they are invisible to the eye. They are also commonly self-dissolving and leave no visible scar. Under normal conditions, a blepharoplasty can take from one to two hours. The best candidates for blepharoplasty are men and women who have excess skin and fat in the upper and/or lower eyelid. A complimentary consultation is the first place to start when considering eyelid surgery. Dr. Koger determines if the aged appearance of your eyes is cosmetic in nature. Once he determines that you are a good candidate, he explains the procedure and what to expect. 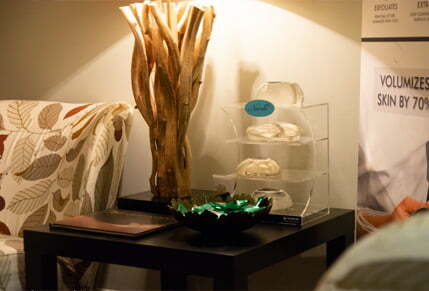 Eyelid surgery is performed in a surgical suite on an outpatient basis. Please plan to have someone drive you to and from the appointment. Eyelid surgery typically requires general anesthesia, but in some cases, Dr. Koger may opt for local anesthesia. Your eyes may be covered by a bandage or patch. It is important that you leave your eyes covered as instructed by Dr. Koger. Expect to have some discomfort, bruising, and swelling. Your eyelids may feel tight. Immediately following eyelid surgery, the incision sites will appear red with some minor bumpiness. You may have some swelling and discoloration, but generally, within a week or two, any bruising and swelling should have gone away, and your eyelid surgery should be yielding great results. Once the swelling is resolved, you will see the effects of your blepharoplasty. Your eyes will look more open and youthful. Eyelid surgery is primarily elective under medical insurance, so you may be responsible for the entire cost. After the consultation, we can discuss the price, as well as our financing options. Dr. Koger is a board-certified plastic surgeon who offers eyelid surgery (blepharoplasty) for residents of West Palm Beach, Vero Beach, Wellington, and the surrounding areas of Palm Beach County. Contact us to schedule a consultation.